Black Market International is a performance artist collective with international members, each one with an established and independent practice as a solo performance artist. 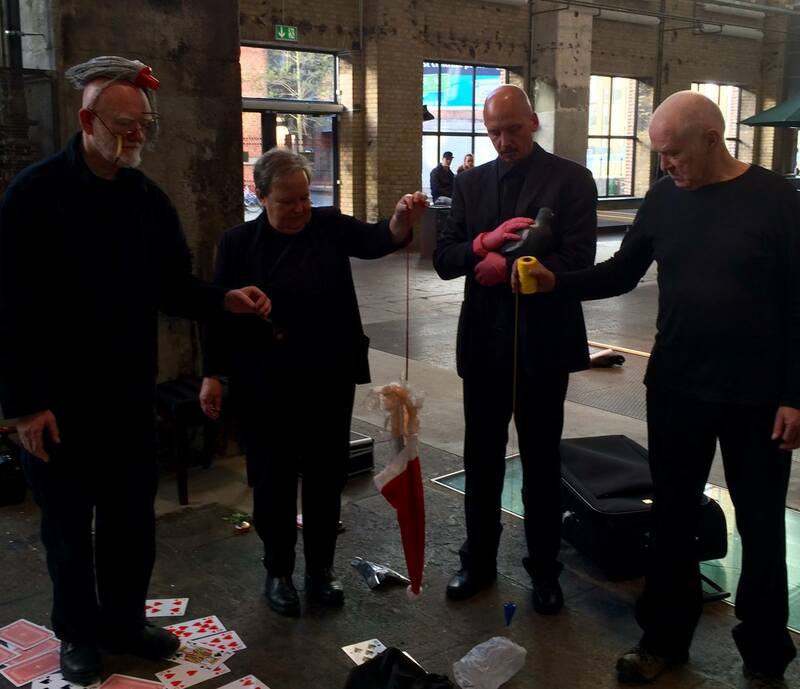 Since 30 years, the influential group has presented durational collective performances worldwide. In 2014, the group consists of twelve regular members: Jürgen Fritz, Germany; Norbert Klassen, Switzerland (died in 2011); Miriam Laplante, Italy; Alastair MacLennan, UK; Helge Meyer, Germany; Boris Nieslony, Germany; Jacques Maria van Poppel, Netherlands; Elvira Santamaria, Mexico; Marco Teubner, Germany; Julie Andree T., Canada; Roi Vaara, Finland; Lee Wen,Singapore. The movement was founded under the name Market project in 1985 in Poznan (Poland) with founders Boris Nieslony, Zygmunt Piotrowski, Tomas Ruller and Jürgen Fritz. In 1986 for the first European tour the name Black Market was taken. In 1990/91 with personal changes the group Black Market International came out. Past Black Market International members include Zygmunt Piotrowski, Poland; Tomas Ruller, Czech Republic; Nigel Rolfe, Ireland; Zbigniew Warpechowski, Poland. Several international guest artists have been invited to collaborate in BMI performances throughout the years. There have been a variety of different versions of what BMI was or is about, as BMI has always avoided the definition of an organised group. The title Black Market does not designate a group, but rather an idea of working. The aim is to promote (like in a black market) open and free exchange of ideas, and to achieve an “Art of Begegnung” (Art of Encounter).